Before Porsche Foxx was fired, rehired and fired again from V-103 (the People’s Station) for allegedly possessing drugs and whatnot, she was sure to share her mantra with her loyal listeners on a daily basis: let your haters be your motivators. And while she may not as wise as, say, the Dalai Lama (close) and while I don’t really believe that I have many haters (right?) I took her words of wisdom to heart. So, instead of focusing on my own haters (again, do I have any? 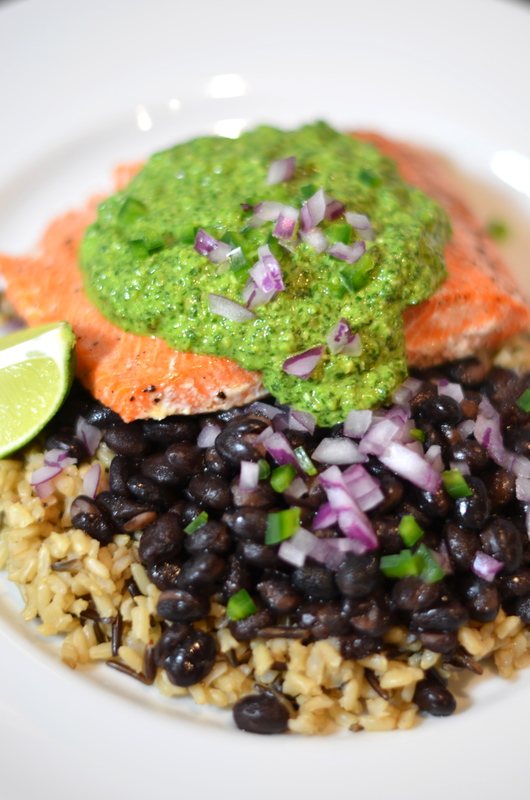 ), I have decided to become motivated on behalf of an oft-loathed herb – cilantro, or see-lahn-trrrho as the goofy bastards on TV like to say. Sidebar: It’s like when someone who isn’t Italian and who doesn’t speak Italian says mouttz-a-rey-la or reee-koh-tah. That’s dumb. Anyway. Some of you are going to hate this. And that’s fine. Evidently I hate when people feign accents to try to sound more intelligent about a particular cheese. We’ve all got our stuff. 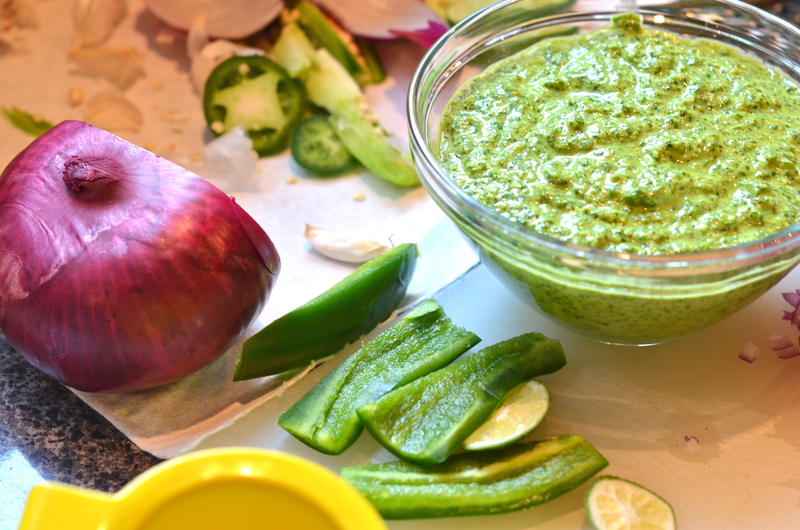 For those of you who aren’t averse to the subtle soapiness of cilantro, I urge you to consider making this recipe for cilantro pesto and then put it on top of things. I recently put it on salmon. I think it would be super tasty if you put it on flank steak (like the quirky cousin to a chimichurri) or even used as a base for a vinaigrette. Full disclosure: I made this a while back and I don’t exactly remember all of the quantities, but I feel good about my guesses here. Put the cilantro, toasted pine nuts, garlic, parmesan, lime juice and jalapeño into your food processor outfitted with the blade. Blend. Drizzle in olive oil until it reaches a consistency that pleases you. 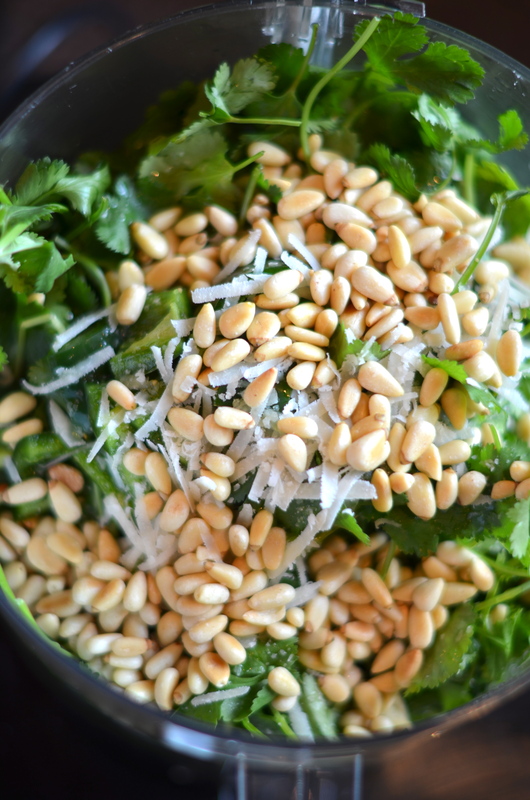 I really like this idea – it almost reminds me of a chimichurri sauce, but I love, love, love pine nuts, so they’re an added bonus. I, too, hate the over exaggerated pronunciation of things – just say it normally! Nobody is going to think you’re uncultured, geez. Thanks for swingin’ by the blog! Love checking yours out – you may recognize some cookies on this one!